Can you have too many cool tikis? 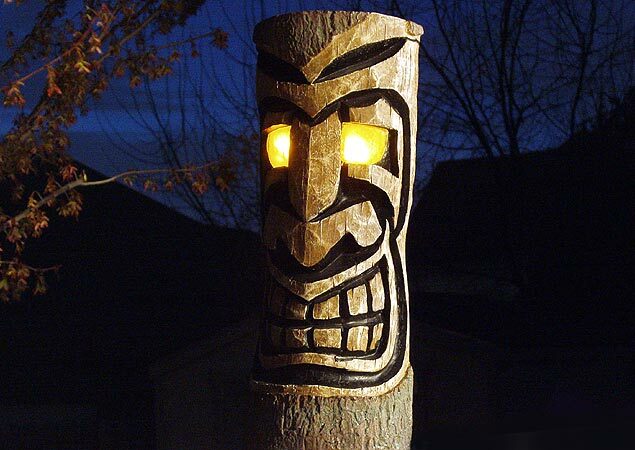 Love the tiki. Did you make it yourself? How, where? Actually, anonymous, I bought it at a Big Lots store in March of 2006. It's plastic with a solar collector/sensor in the top to feed the batteries and turn it's eyes on at dusk. It works only marginally well, but tiki pickin's are slim in the midwest, so I bought it.